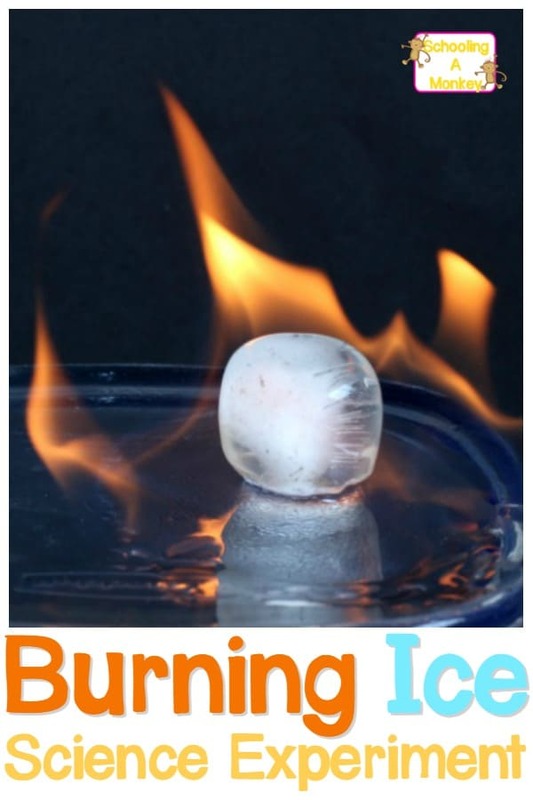 Ice Science Experiment: Can You Get Ice to Burn? Can you burn ice? 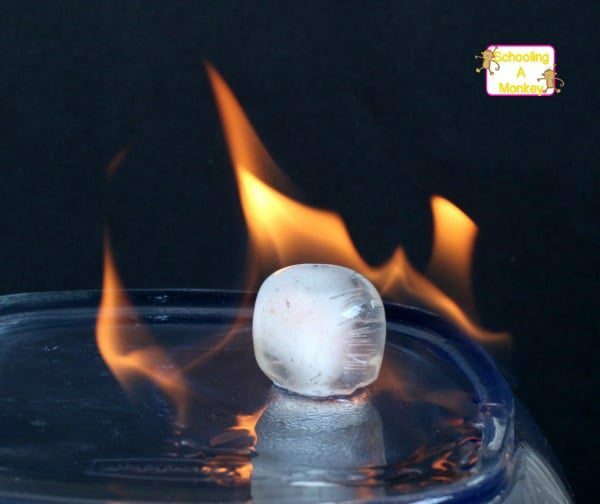 In this burning ice science experiment, adults can demonstrate to kids that in some cases, you can set ice on fire. 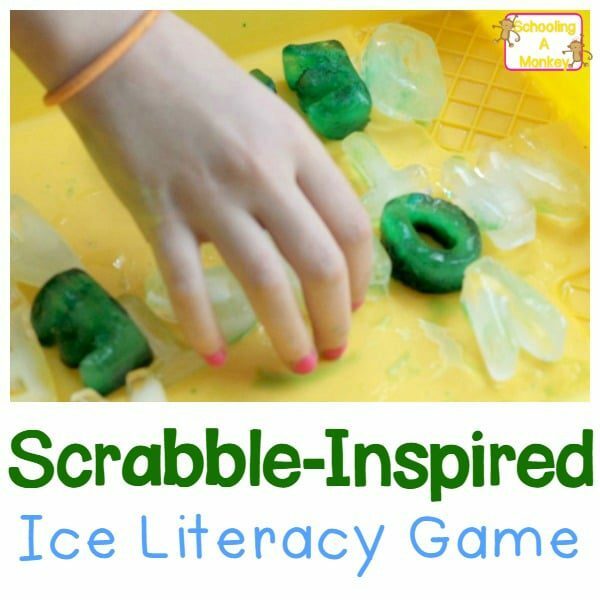 My kids love science experiments for kids and anything they get to do with ice. 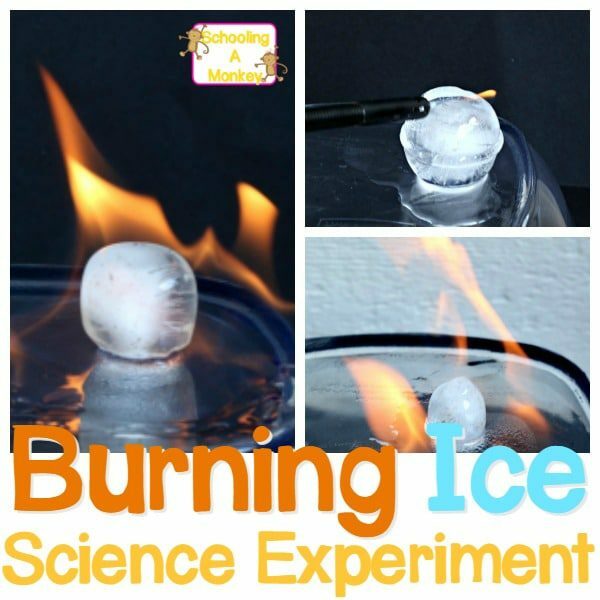 Monkey had the idea to see if we could get ice to burn, and the burning ice science experiment was born! Find out how you can impress kids using our tutorial below! 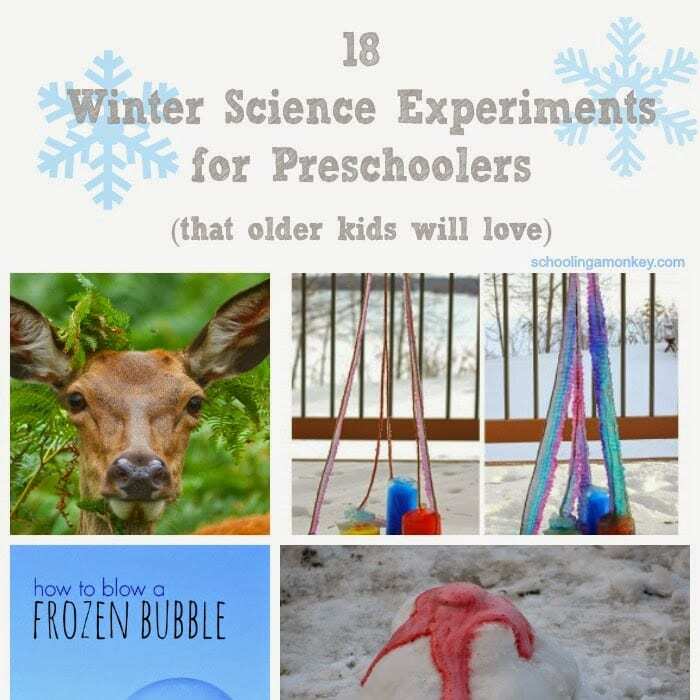 Make sure your kids won’t try this experiment alone before showing it to them. If you think there is a chance they will try it alone, it’s better to not do it. 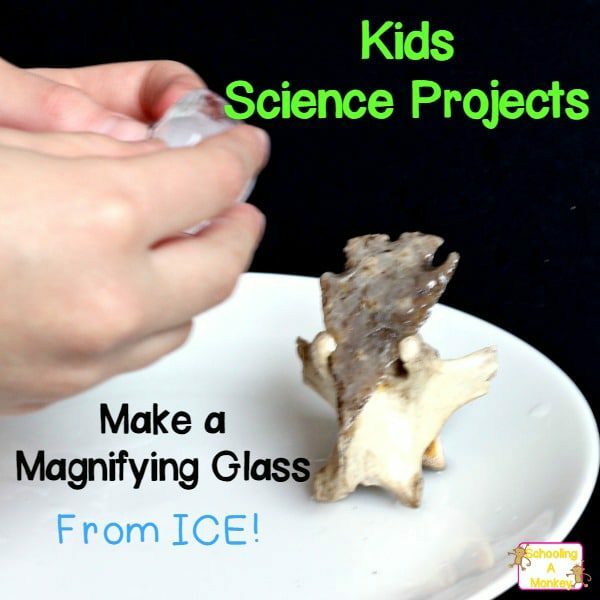 If you’d like more fun ice science experiments, try making hot ice, making frost, and making a magnifying glass from ice! DON’T MISS: 31 Easy and Delightful STEM Activities for Kids! 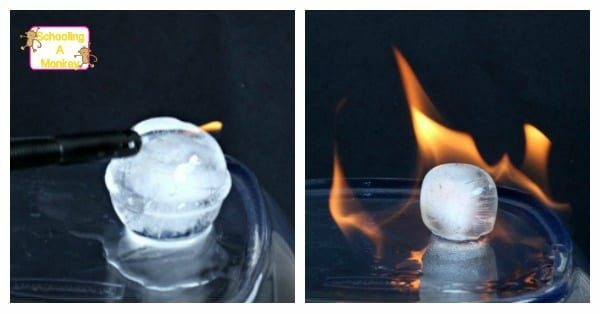 In this burning ice experiment, the ice appears to burn because a solution of alcohol is poured over the ice before it is set on fire. It is the alcohol that is burning, not the water itself. However, the heat of the flame evaporates the water, keeping the flame going even as the ice block melts. Eventually, the water will melt faster than the alcohol burns, but as long as the alcohol is present, the fire will keep going. This is a good time to discuss why kids shouldn’t play with fire, as alcohol will continue to burn even if water is added to it. 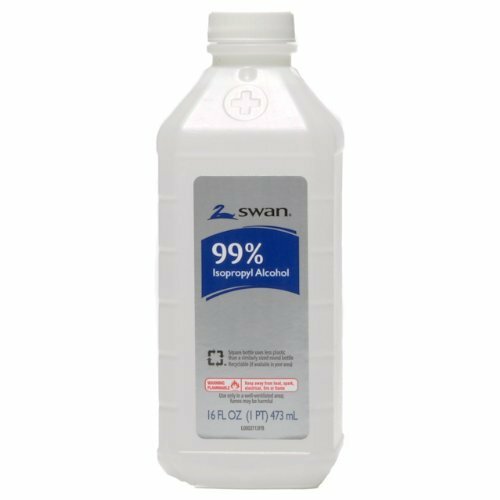 You must add a significant amount of water to the alcohol before it dilutes enough to put out the fire. Use this free printable STEM challenge worksheet to complete your science experiment! 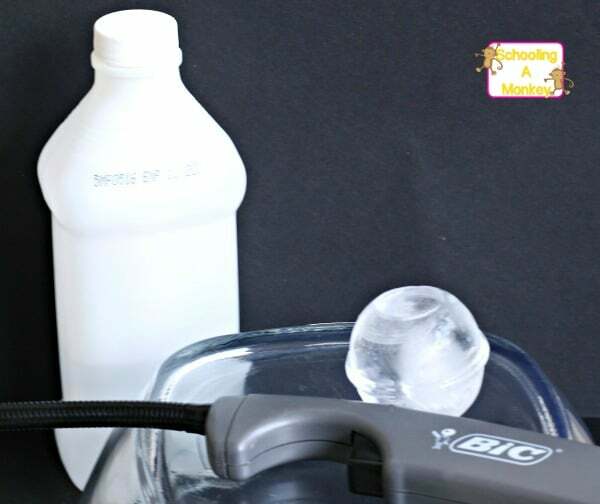 Follow along with these directions to make your own burning ice science experiment. Always make sure an adult is around to supervise this activity! 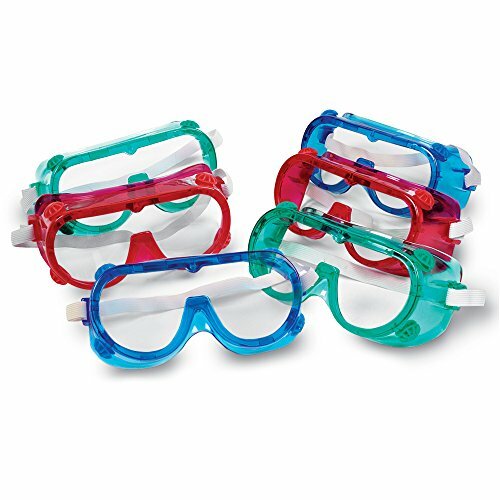 Wear safety goggles while doing this and make sure the kids stand well away from the area. Have your fire extinguisher ready. 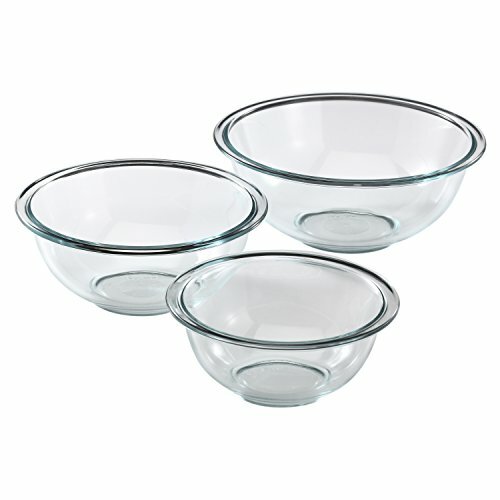 Place your ice ball inside a fire-proof bowl. Pour a TINY amount of alcohol onto the ice cube (less than 1/2 a teaspoon). 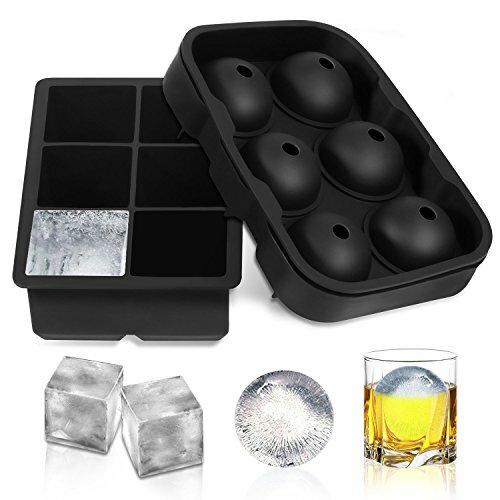 The alcohol will automatically start to melt the ice cube. 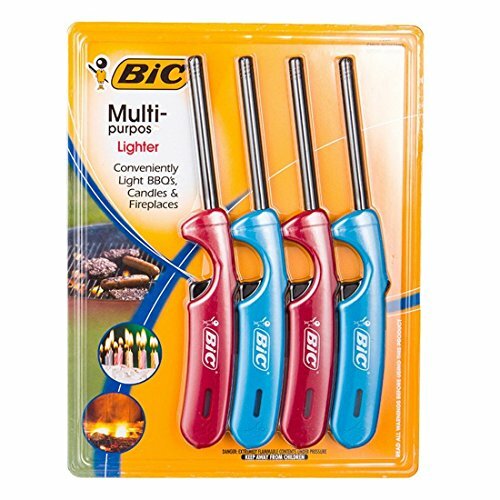 Light the alcohol with the kitchen lighter. You have to work quickly or the alcohol will get too watered down before the flame is lit and you’ll have to start over. The ice will look like it is burning, even though it is just the alcohol on the top burning.